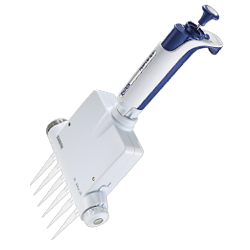 Manual Pipettes — single channel pipette, multichannel and adjustable spacer pipettes. Rainin offers state-of-the-art single channel, multichannel and adjustable spacer manual pipettes and accessories that raise the bar on comfort, performance and control. 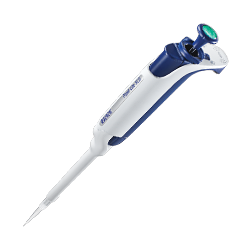 Rainin's Pipet-Lite™ XLS+ manual pipettes blend cutting-edge engineering and innovation to deliver highly reproducible results with exceptional comfort. New "stiction-less" elastomeric seal technology and polymer tip ejectors deliver smoothness and control. The sure-fit handle, light springs and patented LTS™ LiteTouch™ System ensure smooth, comfortable operation and significantly reduce the risk of repetitive strain injuries. Tip shaft options include low-force LTS for improved ergonomics, as well as universal-fit. In addition, all Rainin XLS+ pipettes are equipped with RFID tags for enhanced security, state-of-the-art inventory control and calibration tracking. Rainin manual pipettes – the pipettes of choice for world-class results. With proven accuracy and precision, Pipet-Lite XLS+ single channel pipette is among the most ergonomic manual pipettes available. Multichannel Pipette Pipet-Lite XLS+ new liquid ends are made of durable, lightweight materials and new mechanical designs. For speed, ease and accuracy, nothing beats the Rainin Pipet-Lite XLS Adjustable Spacer pipette for streamlining complex workflows. Light springs and low-drag seals: superior control. 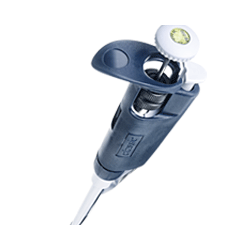 Pipet-Lite XLS+ is optimized for balance and comfort. New seals deliver smooth, consistent plunger action. Corrosion free and chemical resistant. Autoclave the complete liquid end, including the seals. Lightweight and balanced: world class pipetting. Low forces in XLS+ enhance comfort and ease of use. LTS for consistent sample loading on all channels. New seals and LTS tips give channel consistency. Quickly move samples between tubes and plates. Fast space changing and consistent sample loading. Prevent accidental volume drift easily. 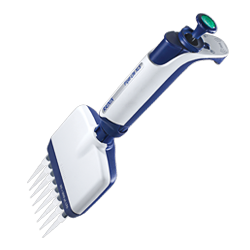 Solid performance, good ergonomics and value pricing make Manual Pipette Rainin Classic a logical choice for many labs. 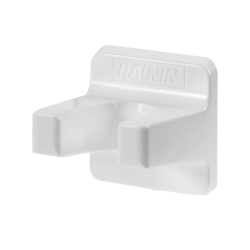 Protect your high-performance pipettes with original Rainin accessories. 25% lower plunger forces than similar pipettes. Silicone pad reduces thumb impact on ejection. Ergonomic design allows your hand to relax. Stainless steel and PVDF components for long life. Minimize ergonomic risks of pipetting – with knowledge. Rainin pioneered the development of pipettes that reduce ergonomic risks and has been at the forefront of providing information about pipette ergonomics. By knowing which conditions pose or amplify your risk, you are better able to mitigate or eliminate them. Minimize your risk today. Using pipettes to transfer liquids is a daily activity in most life science research labs. Whether you are involved in leading edge discoveries or following routine procedures, the data you generate can be greatly influenced by the performance of the pipette and your technique. Find out more.